Kawasaki KH400 - Now Sold! 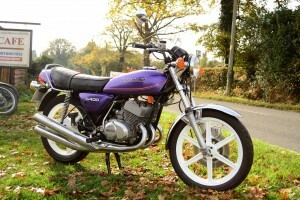 Kawasaki KH400 – Now Sold! Our beautiful Kawasaki KH400 is under preparation to go to its new home. Please view more of our stock by clicking here.